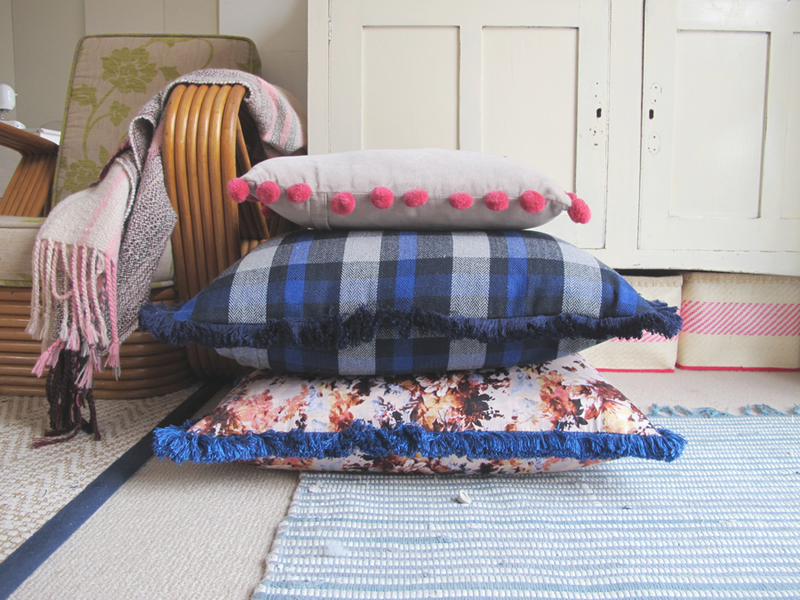 Making a cushion cover is a really easy sewing project that can become really addictive. 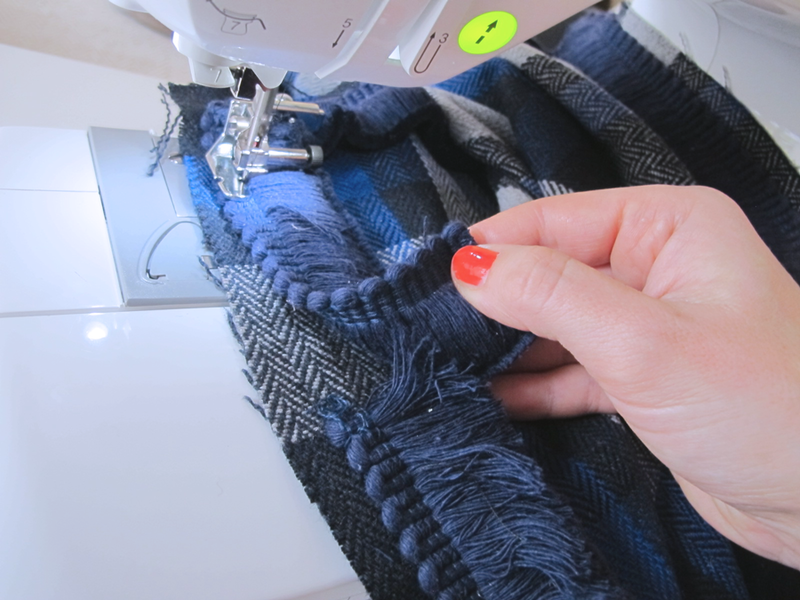 In this tutorial, the cushion cover features a very elegant fringe trim and has a back zipper closure. 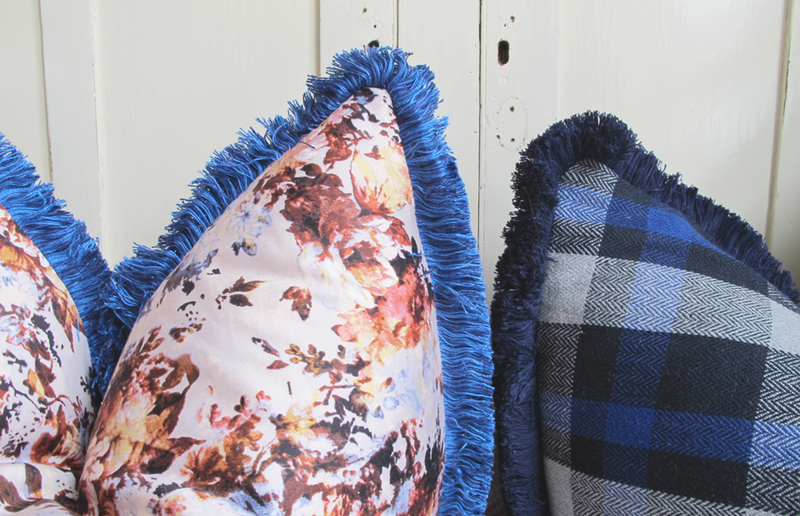 To get a full and plump-looking outcome I recommend using a feather and/or down filled cushion insert and making your cushion cover slightly smaller than your insert, or buying an insert slightly bigger than your cover so there is no bagginess. I bought my fabric and trims from Lincraft. 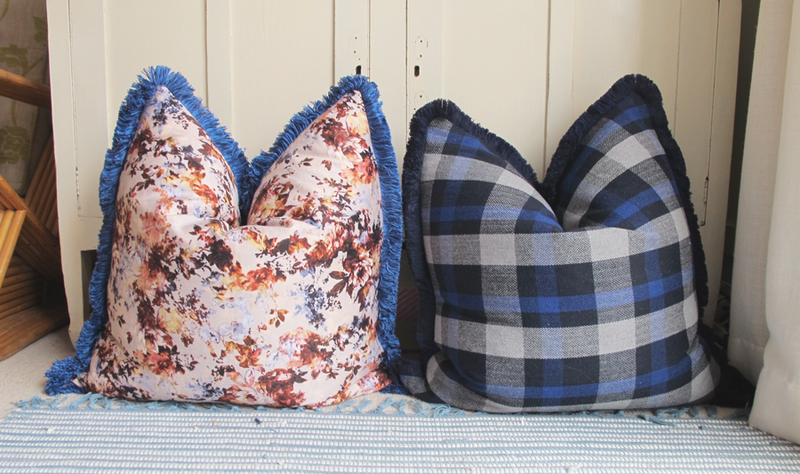 You could even screen print or paint your own fabric design to make really unique cushion. The fringe trim is a little pricey, but I find that fluffy fat style of fringe very attractive. 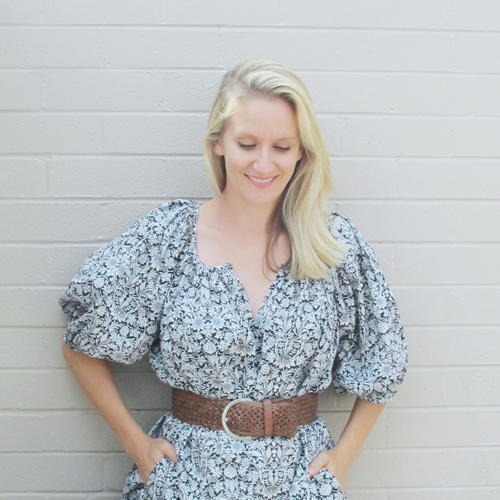 I used a cutting from a continuous zipper product that you can buy on the roll rather than a dress making zipper. Either is fine. I would avoid metal zippers for this project. It's overkill and you might accidentally break your sewing machine needle on the zipper teeth. If you choose a thick fabric like I did and/or one with a large pattern, that will make this project harder. You might need an industrial sewing machine and you will need to keep the pattern match in mind when cutting your fabrics. - Measuring tape and sewing ruler. - Thread that matches your fabric. - A sewing machine with a regular foot and also a zipper foot. - Calculate how much fabric, fringe trim and zipper length you need by using the formulas below. I made my cushion cover to fit an existing European size feather-filled cushion insert from Ikea. Measure your cushion a couple of times. You would think that a square cushion of a particular size would be uniform but it's worth checking. Mine was about 60 x 63cm whilst a standard Euro cushion is usually 65 x 65cm. I made the cover on the basis of my insert being 60 x 60cm, even though it was a little bigger. A snug fit looks better, as explained above. You will need to cut a square for the front and two different sized rectangles to make up the back. ^^^ And here they are. Phew, now that all that wacko mathematics is over you can get onto the fun meditative sewing part. ^^^ Start by making the back panel. Fold over 3cm of one long side of the small rectangle. Pin the zipper in place along that fold. Leave a 1-2mm between the zipper teeth and your fabric fold. You don't want your zipper head getting caught on fabric as it opens and closes. 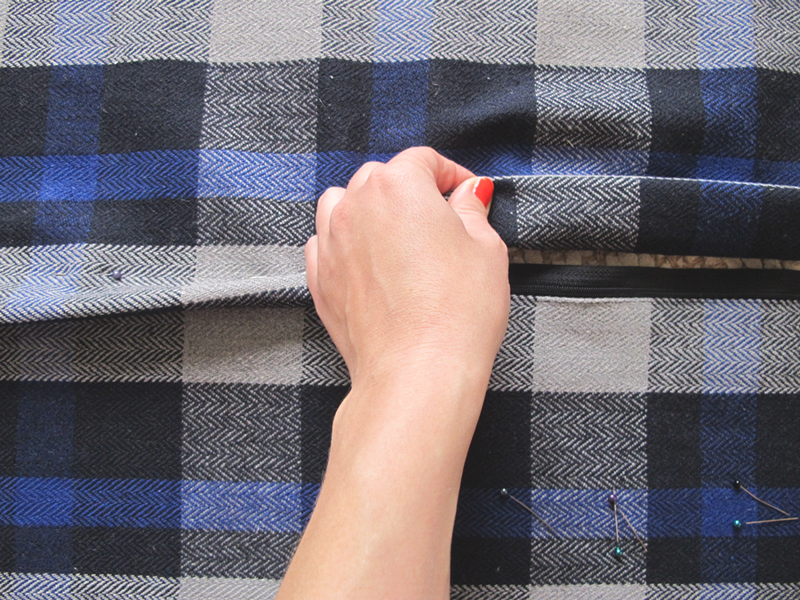 In this tutorial, the fluffy side is the wrong size of the fabric. ^^^ Sew the zipper in place where you pinned it. 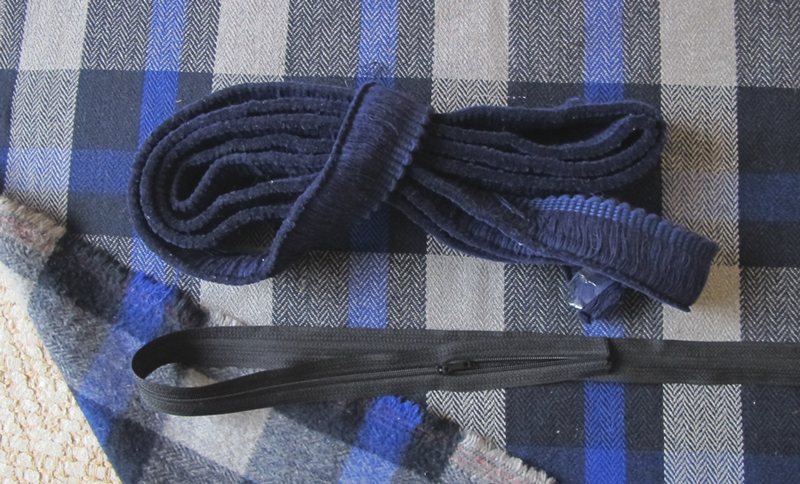 If you have thinner fabric than what I used you might need to start using the zipper head at this point. ^^^ Sewing zippers on can get tricky because once you get to the end you need to sew past the zipper head itself. Do this by stitching up close to it and stopping with the needle down. 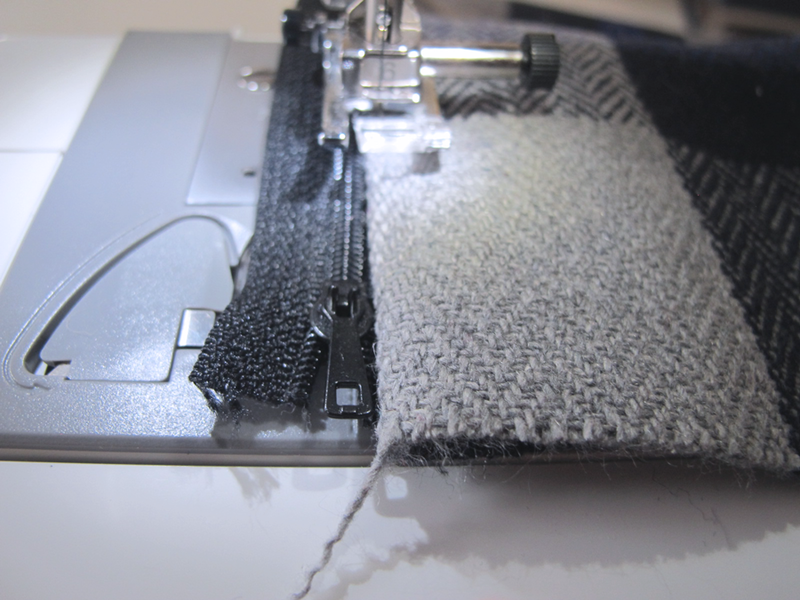 Lift the sewing machine foot and carefully slide the zipper back until it is behind the sewing machine foot. Take that, zipper head. 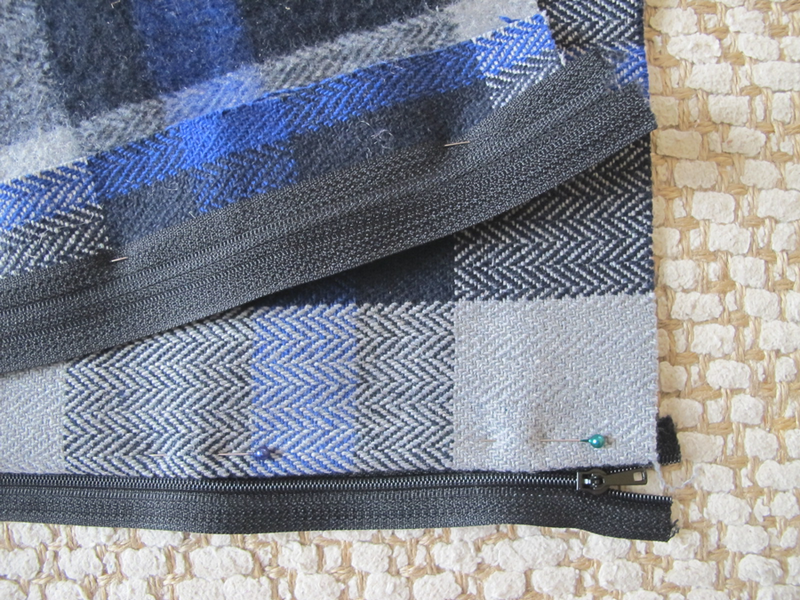 ^^^ The next step is to sew the large rectangle onto the zipper as well, on the opposing side. Imagine a face. The zipper is the teeth of the smile the small rectangle joins on to create the bottom lip and the large rectangle joins on to create the top lip, which hides the zipper. 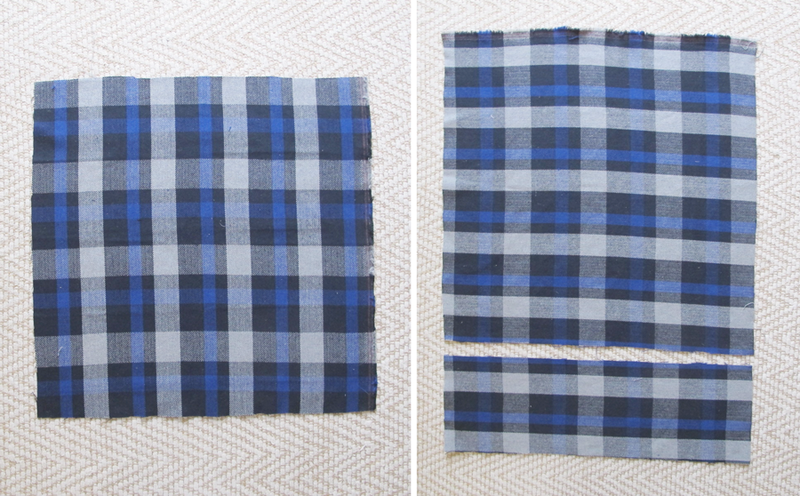 Do this by folding over 5cm of the width of the large rectangle and pinning it onto the other side of the zipper. ^^^ Stitch in place using a zipper foot following the instructions above on how to sew past the zipper head. So now you have a front and back to your cushion. The front was easy, you just cut out a square. The back was a little tricky because you added a zipper. ^^^ Now it is time to secure the fringe. You are nearly done! 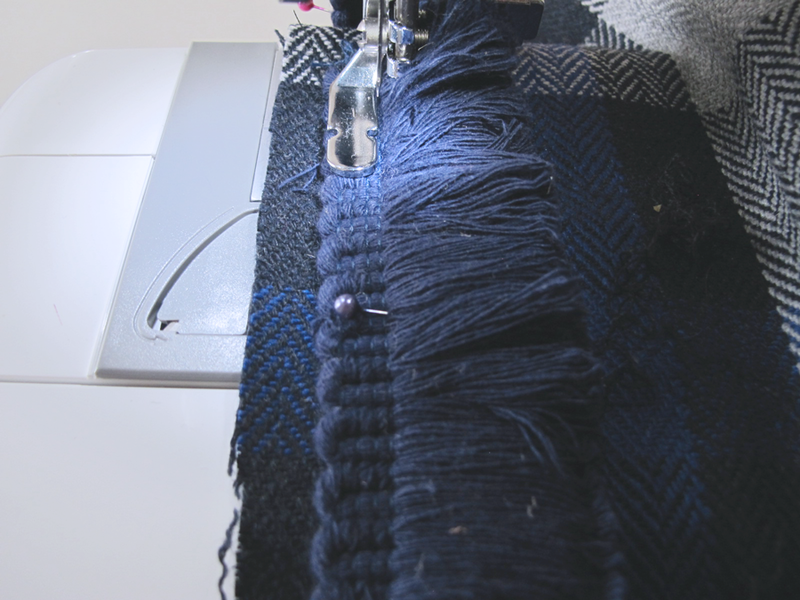 Pin the fringe onto the right side of the front square all the way around, overlapping the start and finish ends about 5cm. The raw edge of my trim was captured in a manufacturer added stitch to keep it neat. This raw edge needs to face in and the braid edge (that gets hidden in the seam) goes to the edge. 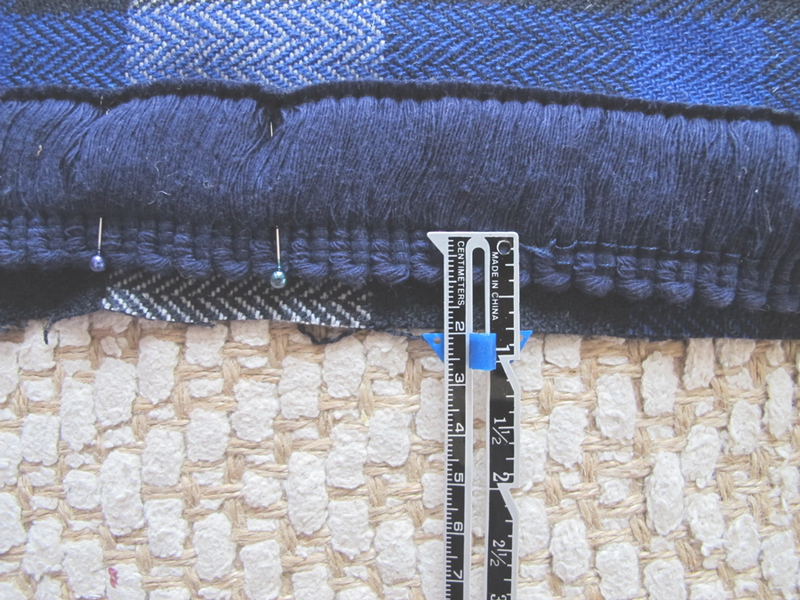 Measure the 2cm seam allowance in from the edge of the fabric to where the fringe starts its fringeiness. You can see my needle is going in right where the the fringeiness starts in the last photo above. ^^^ When you are near the end of the fringe, just overlap them slightly and sew over the top. 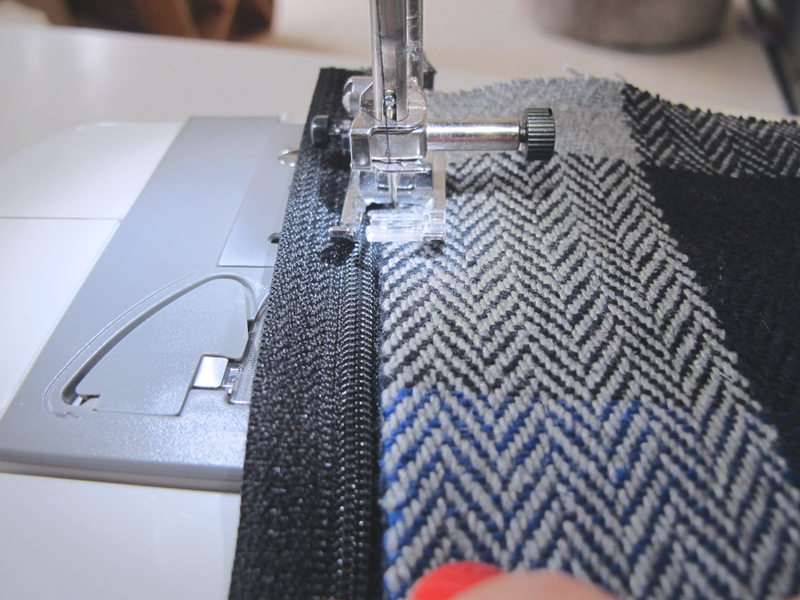 You sewing machine might hate this step a bit. ^^^ The last step is to put the front and back cushion panels right side facing in and on top of each other. Pin and sew all around. 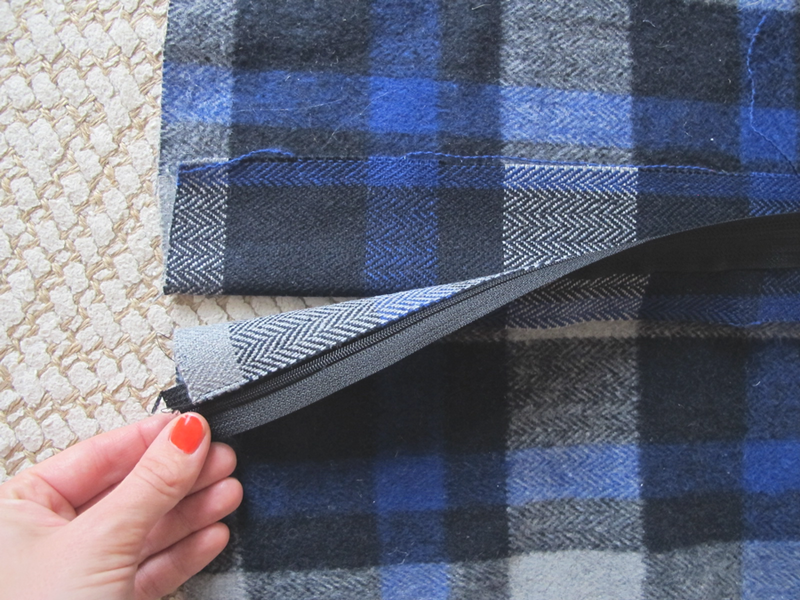 If you have used a thicker fabric, this is the point at which you might wish you had an industrial sewing machine as the layers get quite thick. I used a large patterned fabric and made my cushion back slightly bigger than the front, so I put them together, made sure the checks were lining up on the sides (mostly) then pinned it before sewing. 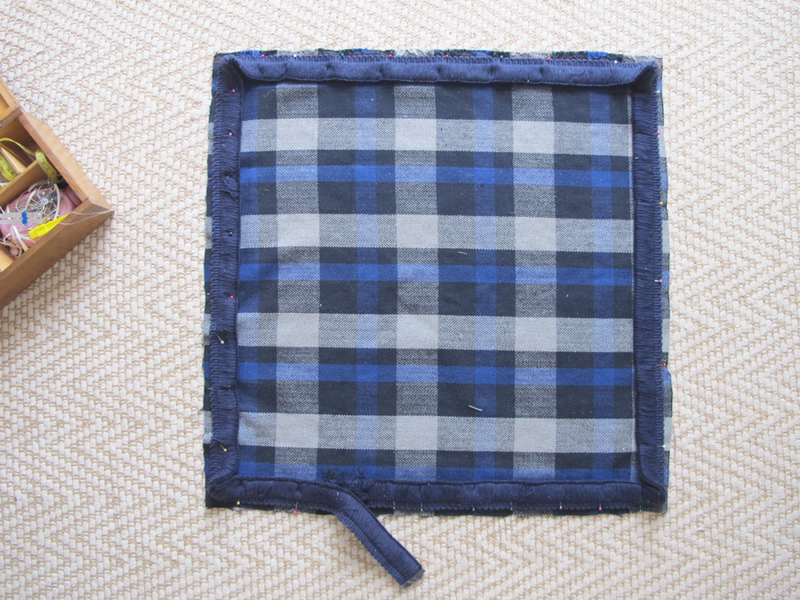 I cut the excess fabric off after that to get a perfect square. 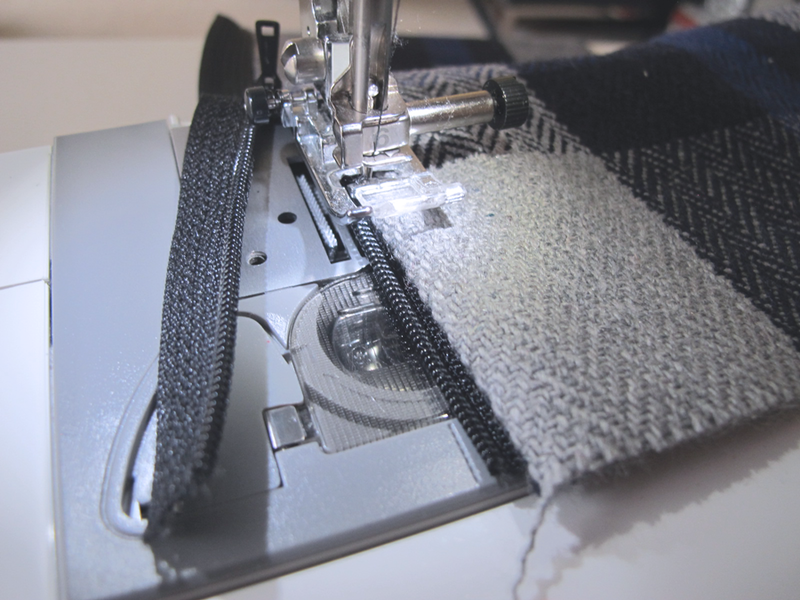 - Make sure that when you sew you are still sewing 2cm in from the edges of the front piece. 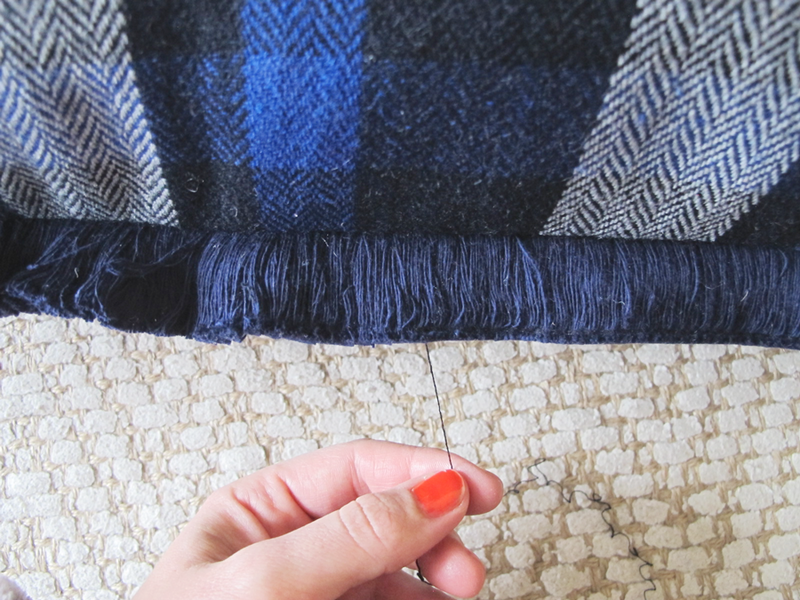 You can use your previous stitch line from securing the fringe as a guide. 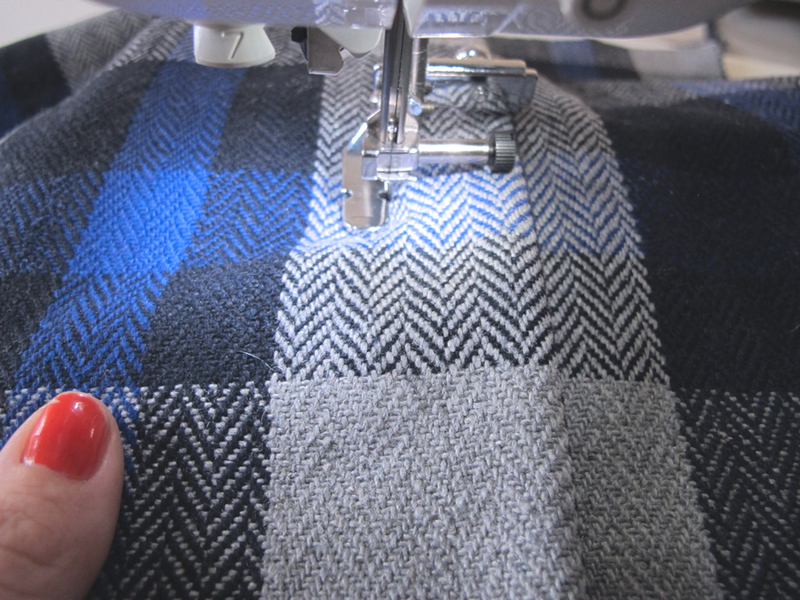 - When you get to the two points at which you need to cross the zipper teeth, sticch right up to them then lift the needle manually and hop over that short distance before continuing stitching again. - It can be useful to cut the back larger, as it can become a bit skewiff from the previous steps. 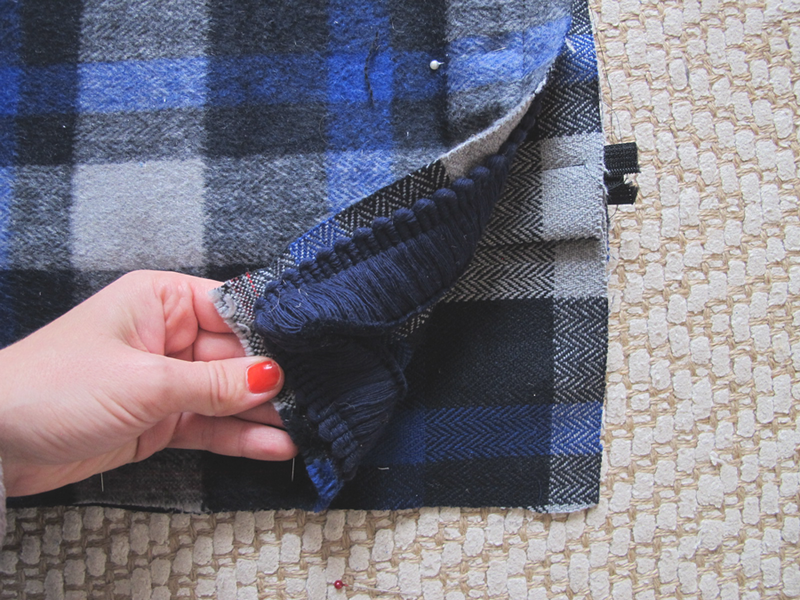 You can then trim the excess off after sewing all around. ^^^ Once you have sewn around the full edge, trim excess fabric from the back panel including clipping the corners off and turn it right side out. Pull off the stitching that secures the fringe edge and rough it up with your hand a bit. 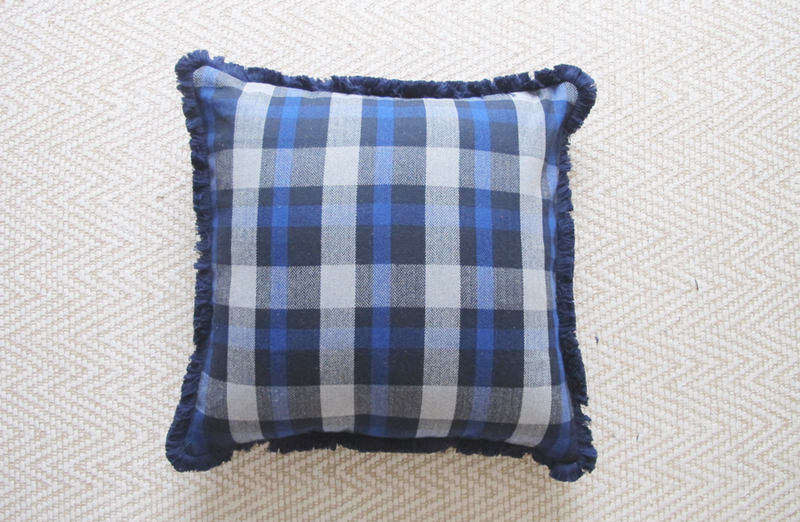 Put in your insert and voila, you just made a pretty fancy cushion cover. Did I mention I made these as floor cushions for my kids! Yep, they love them.